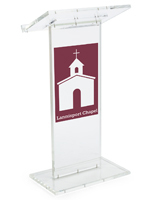 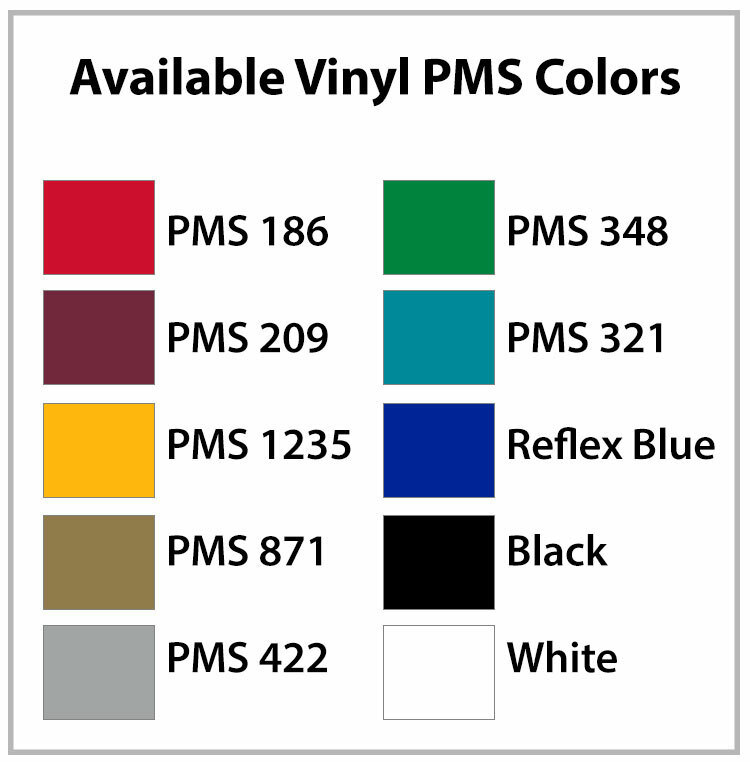 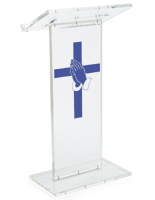 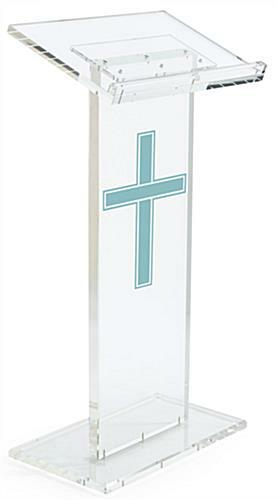 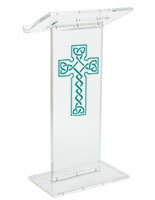 These acrylic lecterns have a traditional 1-color cross vinyl imprinted area sized 14"w x 24"h featuring a cross. 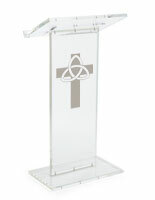 Overall, the pulpit measures 23.8"w x 45.5" x 14"h. These lecterns with stock logo are made of acrylic, a contemporary design that puts all of the focus on the speaker. 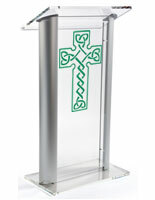 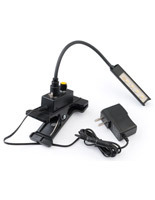 Cleaning tools to remove fingerprints and dust are included in shipment to keep the presentation stand in excellent condition. 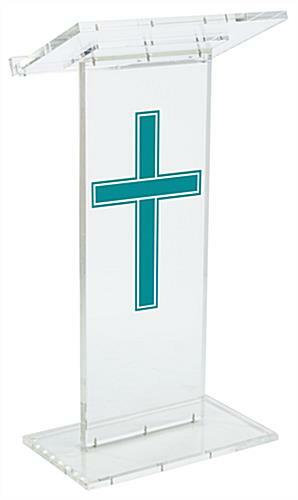 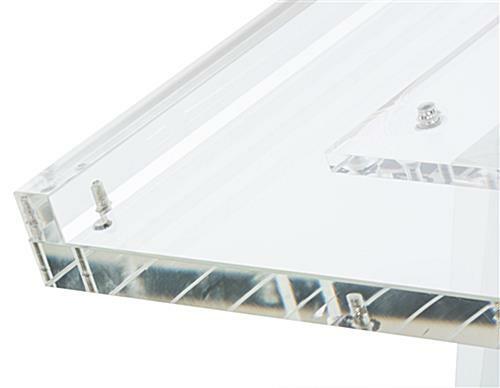 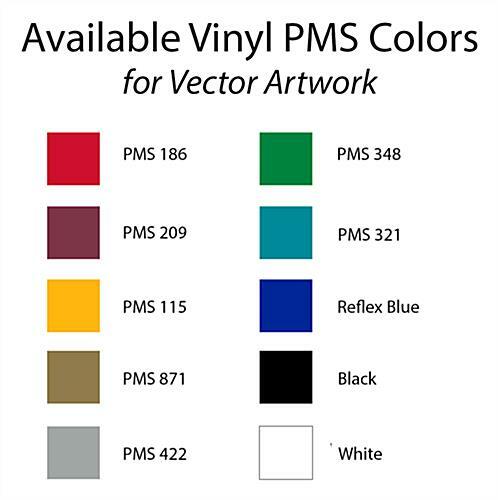 The custom artwork for this clear stand comes in (10) available colors, offering lots of decorative choices. 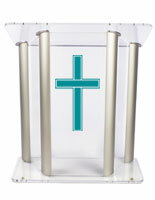 These church lecterns ship unassembled, keeping the costs down, and setup takes just minutes. 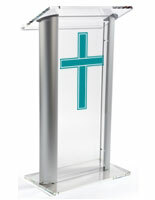 Whether a pastor or a school master, presenters will enjoy using this tall display podium with fixed shelves to store notes and belongings and deliver pitch-perfect lectures. 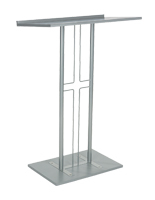 18.0" x 45.5" x 20.0"